Amla (also known as Indian Gooseberry) is an important medicinal plant in ayurveda. The health benefits of Amla are attributed to its antioxidant, immunomodulatory, rejuvenating and anti-aging properties. These properties are found in its fruit pulp. It is a rich source of natural Vitamin C. The fruit pulp of an Amla contains 20 times more Vitamin C content than an orange. Amla is an important ingredient of Rasayana (rejuvenating) ayurvedic medicines. It is added in commonly used ayurvedic medicine including Chyawanprash, Brahma Rasayana, Dhatri Rasayan, Amalaki Rasayana etc. 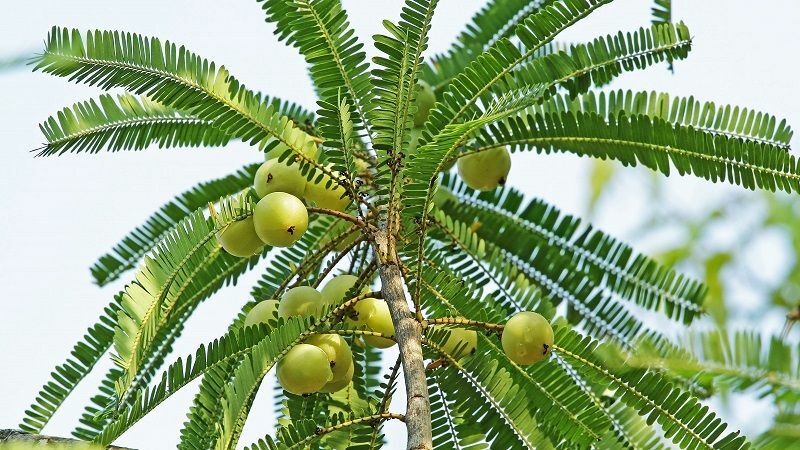 Amla is a fruit and an ayurvedic herb, botanically known as Phyllanthus Emblica (Emblica Officinalis). It belongs to the Phyllanthaceae family. It is native to India. However, its plants are also found in China, South-east Asia, Pakistan, and Sri Lanka. Its fruits are used fresh and dried. Both are known for their therapeutic, nutritional and health benefits. The accepted botanical name of Amla is Phyllanthus Emblica. Emblica Officinalis is a botanical synonym of Phyllanthus Emblica. Native Range (Geographic Distribution) Amla is native to India and it is grown in different tropical and subtropical regions such as China, South-east Asia, Malaysia, Pakistan, Uzbekistan and Sri Lanka. Height (grows up to) Amla is a deciduous tree, which is medium in size, and it grows up to 8 to 18 meters. Habitat (type of environment) It grows in tropical regions, therefore a warm, hot and humid climate is required. Leaves Its leaves are 8 to 10 millimeter long and 2 to 3 millimeter wide. Leaves are light to pale green in color. Flowers It has beautiful flowers, which are greenish yellow in color. Fruits Amla fruits are 15 to 20 millimeters long and 18 to 25 millimeter wide. It is small and spherical in shape and has a slight conic depression on both apexes. Seeds The fruit contains dark brown seeds. Bark Its barks are shiny graying green or grayish brown in color. 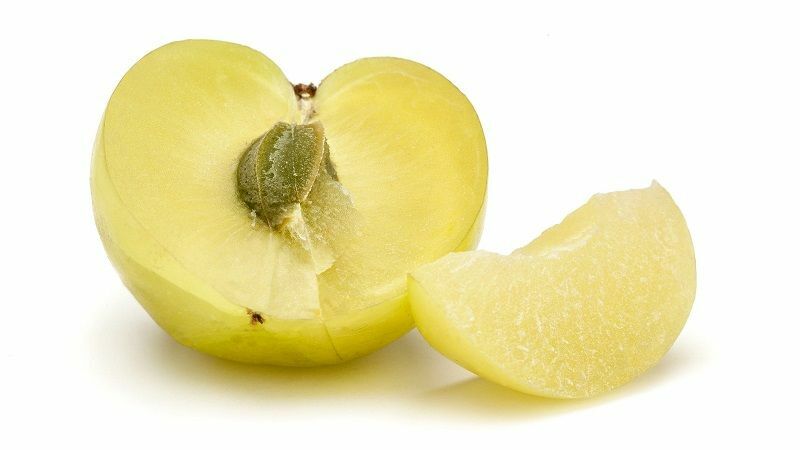 Medicinal parts of Indian Gooseberry Plant are fruits, seeds, flowers, leaves and bark. Fresh fruit pulp is used in different ayurvedic preparations. Dried rind of fruits is ground to make powder and used as Amla Churna (Amla Powder). Amla is very well known for its high vitamin C content, which is a very potent antioxidant. 100 ml of Indian Gooseberry juice contains 480 mg Vitamin C, which is more than any other citrus fruit. Besides vitamin C, Indian Gooseberry is also a rich source of polyphenols that possesses antioxidant properties. A combination of vitamin C (ascorbic acid) and polyphenols help to fight against oxidative stress, stimulates the immune system and keeps diseases and disorders at bay. Oxidative damage to the cells reduced in the presence of Amla extract. Such effect was due to the presence of antioxidants that scavenge free radicals. The phenolic compounds present in it have been proved responsible for antioxidant activity. It has following healing properties. DOSHA KARMA (Effect on Humors) Amla pacifies mainly PITTA, but it also allays the KAPHA & VATA. Amla is helpful in following health conditions. Amla is beneficial in all diseases listed in this section. Amla is an ancient herb, which is used as a folk medicine for the treatment and prevention of variety of ailments, especially diabetes mellitus. Amla is abundant in vitamin C and a good source of minerals and amino acids (building blocks of protein). Vitamin C is a potent antioxidant, which keeps oxidative stress and diseases and disorders related to it at bay. 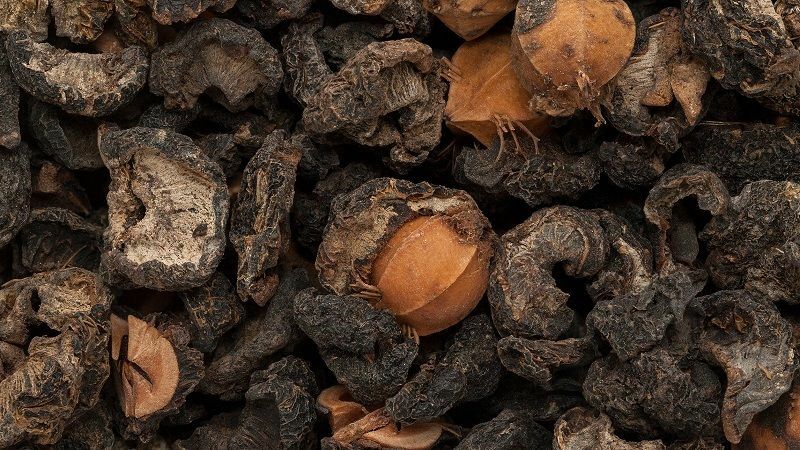 Amla pulp is an important part of various medicinal preparations. Such preparations are very effective in the treatment of headache, diabetes mellitus, liver diseases and cardiovascular diseases. Amla is also a main ingredient of famous ayurvedic health supplement Chyawanprash. Amalaki Rasayana is also prepared using Amla and Amla Juice. These two preparations are beneficial for rejuvenative purposes and have potent anti-ageing characteristics. It helps in the absorption of insulin in the best way that in turn brings down the sugar level. It regulates carbohydrate metabolism, which helps the body to respond well to insulin, thereby reducing the blood sugar level. Nishamalaki is ayurvedic formulation, which contains Amla (Indian Gooseberry) and Haldi (Turmeric). It is also highly beneficial for diabetes. It reduces all diabetic symptoms especially frequent urination and prevents diabetic complications. In Ayurveda, Amla is used along with Pippali (Piper Longum) Churna or Trikatu Churna and Haldi (Turmeric) Churna in non-alcoholic fatty liver disease. Amla churna (2 grams) along with Pippali Rasayana (500 mg) is also beneficial in fatty liver. This mixture should be taken twice daily in jaundice. If patient feel burning sensation, then the dosage of Pippali Churna should be reduced to 125 mg and should be gradually increased to 500 mg as per tolerance of the patient. It is rich source of ascorbic acid, which is likely to enhance iron absorption from the other foods as well. Amla acts as a natural antacid and provides relief from the symptoms of gastritis. It controls the production of acid in the stomach and reduces abdominal pain, nausea, vomiting, and heartburn caused by hyperacidity. It is highly beneficial in the treatment of peptic ulcers. It works by reducing the production of acid in the stomach. Additionally, the antioxidant action produced by this medicine helps to protect the gastric mucosa from any damage and prevents ulceration. Indian Gooseberry can prevent the complications of peptic ulcers such as gastric carcinoma. It also reduces the symptoms of peptic ulcers like pain in the abdomen, weight loss, poor appetite, nausea and vomiting. In Ayurvedic Medicine, Amla along with Cissus Quadrangularis, Ashwagandha, Arjuna and other ayurvedic mineral medicines improves bone strength, increases bone mineral density, and prevents fractures. The dosage of fresh fruit pulp is not well defined, as it is a fruit and taken in any digestible quantity. When to Take: However, it can be taken any time, but eating it after food is best time to get its maximum benefits, as per ayurveda. When to Take: Generally, Amla Juice is recommended taking on empty stomach in the morning, but it can be consumed anytime. How to Take: Amla Juice should be mixed in a glass of water and 1 to 2 tsp. honey should be added. Drink this on empty stomach in the morning. If one experiences some abdominal discomfort due to juice after taking it on empty stomach, then he/she should take it after food mixing with 1 to 2 tsp. of honey without water. 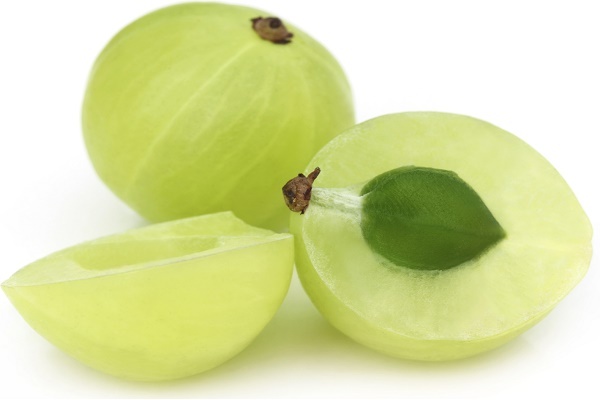 Indian Gooseberry is considerably safe for children, adults and pregnant women. Amla in natural form (Amla Pulp, Amla Churna or Amla Juice) is safer and highly recommendable for regular and long-term consumption. Hyperacidity – it occurs only with juice. It can worsen the cold conditions. A rat study observed that amla extract when administered to rats orally at 250, 500 and 1000 milligrams/kilogram body weight per day did not cause death within 48 hours. This was further observed for 3 weeks and no ill effects or signs and symptoms of acute or chronic toxicities were observed. Amla (Indian Gooseberry) has been used in ayurveda and traditional medicine for thousands of years. Charaka Samhita describes its many benefits and includes it in many ayurvedic formulations. The following ayurvedic formulations are commonly used ayurvedic practice. It’s great to know more about ayurvedic medicines and its values in daily life. Very amazing thing is that we got all the ayurvedic medicinal plants details. Exactly it is wonderful. 100 grams raw Amla fruit pulp contains around 478 mg Vitamin C. The value of Vitamin C content in Amla (Amalaki or Indian Gooseberry) may vary from 440 mg to 800 mg per 100 grams depending on season, variety and place of growing. Hello sir, can Amla powder be taken with normal water before breakfast and lunch as I am taking Medohar Guggulu after my breakfast and dinner to reduce its hot potency as I am suffering acidity belching and indigestion. Please guide. Yes, you can take Amla powder before meal. Good evening. Can you tell me please the best remedy for Fibromyalgia, that includes chronic fatigue, no energy, and also painful muscles. As a result there is a lot of excess weight. Many thanks for your insightful recommendations. How can I take Amla powder to improve my digestion system. And how does it help in improving our digestive system. Please suggest me how can I use it sir.